This fixture includes everything you need to get growing. 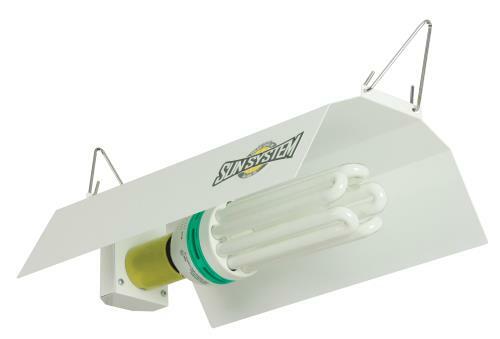 It starts with a high quality 125 watt Feliz™ fluorescent 6500°K grow lamp. Add a wing reflector that has a bright white powder-coated finish providing excellent reflectivity and durability. 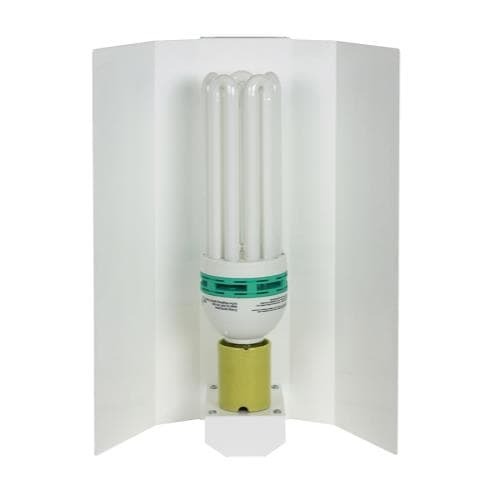 It has a sturdy steel construction for long life and a heavy duty socket assembly. Includes mogul base socket and 8 ft 120 volt power cord. Integrated mounting bracket with wire hangers for hanging the fixture. Just plug in and start growing. 6 month warranty on lamp.